You can replace the term “distributed ledgers” with “shared Excel sheets” in about 90 percent of talk about blockchain and finance. As Bitcoin became more famous, its dubious nature became increasingly obvious to mainstream observers. So the buzzword of choice shifted from “Bitcoin” to “the blockchain”, or just “Blockchain”. This really meant the Bitcoin blockchain, as the goal was to get interest up and the price with it. This particularly picked up around late 2014,2 when the Bitcoin price had cratered. The value proposition was that Bitcoin was the most secure chain as it had the most hashing power, so everyone wanting a blockchain should use that one. However, the limit of 7 transactions per second worldwide, blocks often being full anyway so transactions can’t get through, and that your Internet of Things light bulb was profoundly unlikely to add enough flash memory for 120 gigabytes of SatoshiDice gambling spam were all a bit too obvious to the prospective suckers. But by late 2015, “Blockchain” hype had taken on a life of its own as a business buzzword. If in a manner somewhat uncomfortable with its Bitcoin origins. In the real world, nobody outside the cryptocurrency subculture uses blockchains proper, because they are ridiculously impractical and the most prominent one uses as much electricity as all of Ireland. This means their fantasy life is rich indeed. Repeat to yourself: if it sounds too good to be true, it almost certainly is. What can Blockchain do for me? Decentralisation is very expensive and doesn’t get you much, at the loss of efficiency and control. Recentralising immediately makes the system much more efficient. Your problem is pretty much always sorting out your data and formats, and blockchains won’t clean up your data for you. If you start with “… but with Blockchain!”, then putting lots of different words before “but” isn’t likely to result in something that’s actually useful and practical. Transaction ledgers in tamper-evident chains and trees of hashes are a good idea, and businesses are about to discover how to use them for tamper-evident ledgers. These will likely be branded “Blockchain,” whether or not the product has anything else to do with blockchains. Business Blockchain marketing claims are rarely this grounded, however. They’re largely divorced from tawdry considerations of technical or economic feasibility, mathematical coherency or logical consistency. Normal people hear these nigh-magical claims, see obvious uses for them in their own business and are left with the impression “Blockchain” can get them these things. 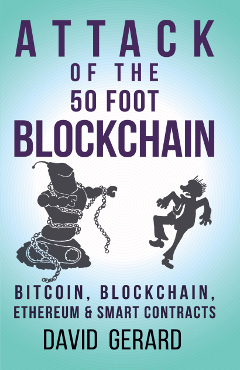 IBM’s promotional e-book Making Blockchain Ready for Business4 is a good example. 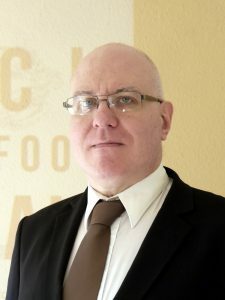 It sells vague and implied future potential – “discover what new business models could emerge if trust & manual processes are eliminated”; “how might a faster, more secure, standardized, and operationally efficient transaction model create new opportunities for your business?” Almost every solid-looking “is” statement concerning blockchains – “an enterprise-class, cross-industry open standard for distributed ledgers that can transform the way business transactions are conducted globally”; “highly secure blockchain services and frameworks that address regulatory compliance across financial services, government, and healthcare” – is really a “might” or “could”; no blockchain has all the claimed abilities in the present day, and certainly not Hyperledger, the basis of IBM Blockchain. I sat in on one presentation by a Big Four accounting firm on the Blockchain in health care: three blokes (one with a tie, two without) talking about the hypothetical possibilities a blockchain might offer health care in the future, all of which was generic extruded blockchain hype, and much of it Bitcoin hype with the buzzword changed. When an audience member, tiring of this foggy talk, asked if there was anything concrete that blockchains could offer the NHS, they responded that asking for practical uses of Blockchain was “like trying to predict Facebook in 1993.” The main takeaway for the health care sector people I was with was swearing never to use said accounting firm for anything whatsoever that wasn’t accounting. A sure tell of a reality-free writeup, completely detached from earthly considerations, is when a writer talks about “Blockchain”, capital B, no “the”.5 You should try mentally replacing the word “Blockchain” with “Cloud” and see if the article seems eerily familiar. Also try the previous business technology buzzwords “big data”, “NoSQL”, “SaaS” and “Web 2.0” and see how it works with those. 1 Tracy Alloway. “An experiment”. 19 January 2017. 2 Richard Waters. “Bitcoin 2.0 gives the dreamers focus — but only without the hype”. Financial Times, 4 December 2014. 3 Earliest sighting I’ve found: JP Koning. “Why the Fed is more likely to adopt bitcoin technology than kill it off”. 14 April 2013. 4 Jeremy Cuomo. “Making Blockchain Ready for Business: Increase trust, accountability, and transparency across your business networks”. IBM, 2016. The author link in the text is to a deleted Wikipedia article. 5 I commend to you “Ignoring Blockchain Is Corporate Suicide: Why Blockchain is the biggest single threat to all CEOs for destroying corporate value” by Nick Ayton, in analyst newsletter Innovation Enterprise (7 July 2016) (archive). In the several years I’ve been following Bitcoin and blockchains, this is the single worst and most incoherent piece of “Blockchain” hype I’ve seen; you definitely need to read it, to inoculate yourself against the worst excesses of this foolishness. Ayton spends the first third of the article repeating how devastating Blockchain will be to business, the second third making technically garbled or meaningless unsubstantiated claims about the future and the last third on a list of predictions, many of which have already been shown unfeasible and three or four of which are literally out of ’80s cyberpunk science fiction, as if he read too much William Gibson as a lad and thinks Blockchain will make Mona Lisa Overdrive real – “augmented reality using VR and holographic systems will feed off sensory layers that will sit on the Ledger of Things connecting the world”, presumably visible to your new Zeiss-Ikon eyeballs. I know of one case where a non-technical manager inadvertently sent this link around their company; they quickly realised how relentlessly terrible everything about blockchains actually is – anyone who’s survived in business where sales people exist doesn’t need to be a techie to notice there’s something deeply wrong and lacking in blockchain hype – but the article had by then caught the attention of upper management. The manager found themselves in the position of designated expert and having to quell this idea, mostly by a process of translating why none of this could ever work into sober and considered business speak from the original profanity-laced screaming.